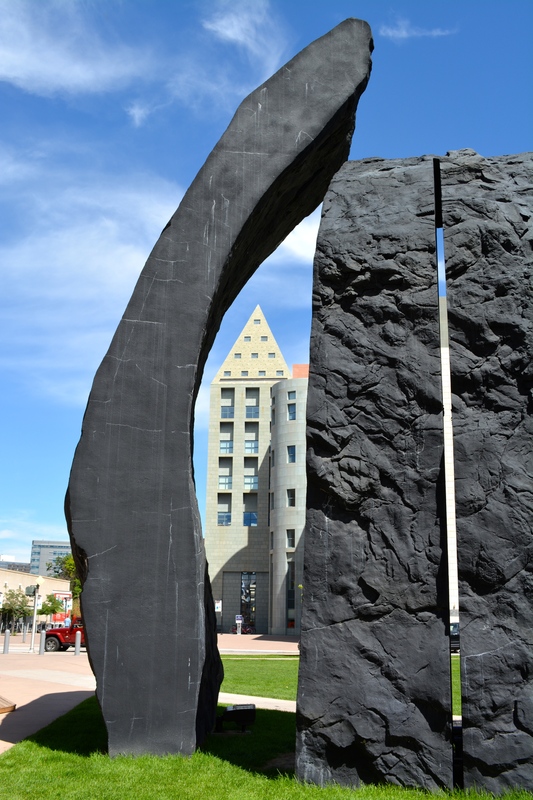 Denver Monoliths was created by sculptor Beverly Pepper, commissioned by the Denver Art Museum for display in front of the Frederic C. Hamilton Building. The two sculptures making up the artwork, one 42’ tall and one 31.5’ tall, were made using “artificial rock” concrete construction methods like those used for naturalistic concrete environments in zoos, botanic gardens, and amusement parks; the two pieces together weigh 155,000 pounds. The primitive forms in charcoal-gray concrete provide a stark contrast to the futuristic zigzags of Daniel Libeskind’s shimmering silver building. For Jennifer is a simple, yet bold abstract sculpture that adorns the tree-dotted plaza between the Clyfford Still Museum and the Hamilton Building. 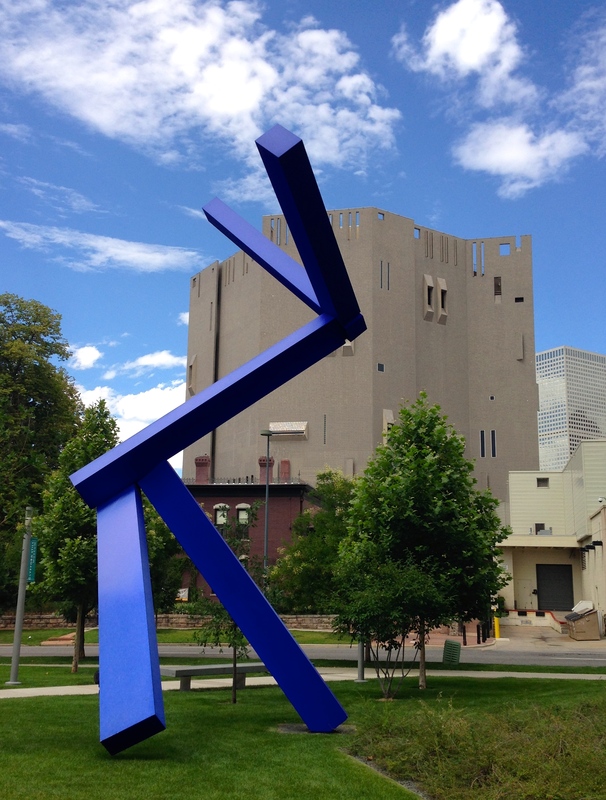 The bright blue 32-foot tall aluminum sculpture was designed by Joel Shapiro, an American sculptor renowned for his dynamic work composed of simple rectangular shapes.